After spending 24 years with Arthur Andersen, Aldo Cardoso served as their worldwide CEO till 2003, as well as Chairman of their Worldwide Board from 2000 to 2003. Aldo Cardoso is on the Advisory Board of EuroMena III. 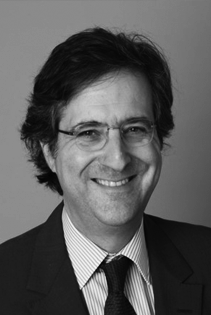 Aldo Cardoso is a Graduate of the Ecole Supérieure de Commerce, Paris, and holds a Master of Law and is an Expert-Comptable. He is also a leading expert on Corporate Governance. His work includes a book on Corporate Governance, “L’anarchie libérale”, published in 2003. Aldo Cardoso is a Senior Advisor for Deutche Bank and a consultant and advisor to several leading European companies. He is also a Board member of GDF Suez, Imerys, Bureau Veritas, AXA Investment Managers’ (AXA IM), and Worldline. In addition, he was a Board member of Orange, Accor et Penauille Polyservices, Rhodia, Gecina, and Mobistar.